The resort of Cancún in Quintana Roo is celebrating its 44th birthday this year. Local officials have arranged a series of events between 19 and 27 April, including an exhibition of vintage cars, to mark the occasion. The tourist part of the city has thrived. Cancún now has more than 3000 condominium units, luxury shopping centers, restaurants, museums, discos, bars, an international airport and more than 150 hotels, with 35,087 hotel rooms. In 2013, some 14 million visitors passed through the airport. Hotels had a profitable 2013, with an average room occupancy of 77.2%. Visitors to Cancún contributed an estimated 4.36 billion dollars to the local economy. Tourism provides direct employment in Cancún for around 52,600 people, and indirect employment for 175,000. There is a less rosy side to Cancún. Besides the obvious adverse impacts of so many tourists, there are many other issues arising from the extraordinarily rapid growth of tourism in this area. For example, see Beach erosion in the tourist resort of Cancún, Mexico. 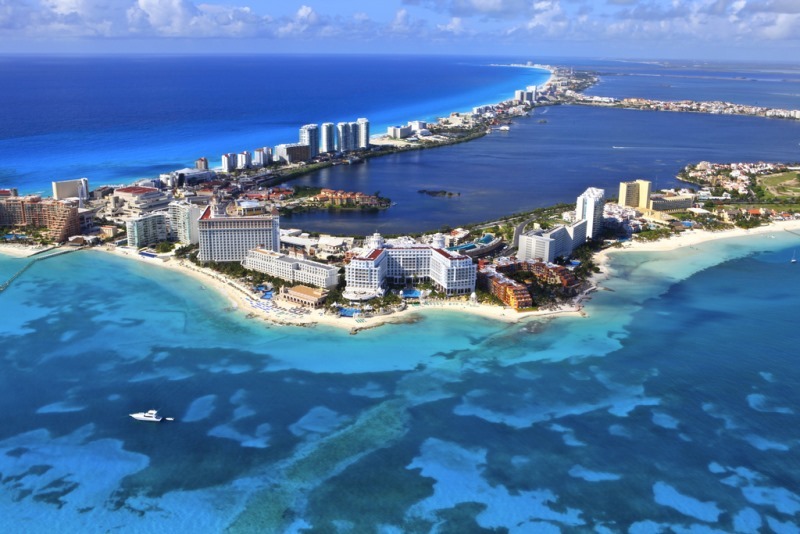 For a fuller discussion of the issues associated with 40 years of tourist development in Cancún, see “Ending a Touristic Destination in Four Decades: Cancun’s Creation, Peak and Agony“, which appeared in a 2013 special issue of the International Journal of Humanities and Social Science. Tourism aside, perhaps the biggest single issue is in the “regular” city of Cancún (as opposed to the tourist zone). Cancún city (2010 population: 628,000, but sometimes claimed now to be more like 800,000) is where most supporting services are located, and most workers live. The city has grown so fast that it lacks sufficient services and fails to offer a good quality of life for its residents. Spiral Island: One person’s garbage is another man’s island!